While the world covers the rise of Donald Trump, Ben Carson and Bernie Sanders breathlessly while also trying to report 'what the meaning of the words 'classified State Department memos on a personal server' means to Hillary Clinton, some other very important issues are being left uncovered, unreported and not discussed. In polite company at least. One of the leading thinkers in Washington on Social Security matters for many years, Carolyn Weaver of the American Enterprise Institute, among other posts in DC, passed away yesterday. While we did not know her personally, we were aware of her work as she was noted by others in her field for being clear-eyed and cold-blooded when it came to getting to the facts of the issue because it is so important to each and every one of us personally when we retire. Perhaps more so, it is 'collectively' more important to us as a nation because of the imbalances Social Security is placing on the nation's finances at this time and will continue to do so unless radically transformed and reformed. We would much prefer to hear what candidates think about and are going to do about reforming Social Security, preferably to a defined-contribution based plan similar to what has happened in the private sector over the past 25 years, than what they think about less important matters which are usually the issues the press wants to cover ad infinitum. How wonderful it would be to have a mature, reasoned debate about the future of Social Security, Medicare and Medicaid in the United States during this entire Presidential campaign since:1) they are VERY important issues and 2) if we correct them and solve them properly, most of our budget and debt problems will go away. Seriously. Almost overnight. How great would that be? Something big actually getting done in American politics once again! Just to bring some solid information for your gray matter after it has been pounded into gruel this past summer with a wide array of seemingly inane political matters, we thought we would reprint for you one of Carolyn Weaver's essays on Social Security from 1992 since it is so succinct and to the point that it might even start to heal your brain cells again. The following article is from the Concise Encyclopedia on Economics. While some of the data in this version is a little out-dated, some of the points she makes about Social Security are so important we have highlighted them below in bold red just so you will know what is important in her writing. The sad part is that this is the sort of thing we really need to be talking about in our national debate. As important as the issues of government clerks performing their civic duty when it comes to issuing marriage licenses or building the wall between the US and Mexico, these issues pale in comparison to the magnitude of the problems we face in funding the unfunded liabilities now evident in the Social Security, Medicare and Medicaid programs, just to name the most gargantuan Triple Towers of Fiscal Mismanagement of them all. Think about that the next time you watch any of the debates or some of the truly insipid political reporting now going on the evening news or on the cable channels. And remember the name 'Carolyn Weaver'. Cause she spent her lifetime sending out warning signals to us all. Ignore her at your peril. Especially if you are age 20-30 right now. 'The Social Security system, including old-age and survivors insurance, disability insurance, and hospital insurance (Medicare), poses a staggering liability in the years ahead. Benefits in the year 2025, when the retirement of the baby-boom generation is in full swing, are projected to cost 23 percent of taxable payroll in the economy, up from 14 percent today. In today's dollars, that amounts to $1 trillion annually. Between now and 2065, the actuaries' official long-range measuring period, the nation's giant retirement program is slated to spend $19 trillion in present value terms. Counting Medicare, the liability is $30 trillion. How this liability is met—indeed whether it is met in full—will profoundly affect people's savings and retirement decisions, the nation's public finances, and ultimately, the amount and distribution of America's wealth. For most of its history Social Security has been financed on a pay-as-you-go basis. With pay-as-you-go financing, benefits to retirees and other beneficiaries are met by current taxes on workers; income roughly equals outgo, and assets do not accumulate significantly. Pay-as-you-go Social Security systems have large unfunded liabilities. Research by Harvard economist Martin Feldstein, published in 1974 (and in a follow-up article in 1982 correcting a programming error in the original study), suggested that the pay-as-you-go method of financing Social Security had depressed private saving in 1971 by a whopping one-third. His argument was simple but compelling: to the extent people view the government's promises to provide retirement benefits as a substitute for their own retirement savings, they will tend to save less. Less private saving, when not offset by increased government saving, means less new capital and ultimately lower real incomes. Feldstein's findings touched off a major controversy in the economics profession over the determinants of private saving and the effects of government policy. Are people "life-cycle" savers, as Feldstein suggested, making choices to maximize their own financial well-being over their lifetimes, saving mainly to finance their own retirement? This is consistent with Milton Friedman's earlier discovery that an individual's spending is powerfully affected by how much he expects to earn over his entire lifetime, not simply by what he earns today. Or are people linked with their children, through financial gifts and bequests, in such as way as to neutralize the effects of Social Security? In the latter case, Social Security should increase private saving as the elderly attempt to offset, through increases in their planned gifts or bequests, the (implicit) future Social Security taxes that their children will have to pay. Harvard's Robert Barro, chief proponent of this view, argues that people adjust their private transfers to undo the compulsory transfers inherent in Social Security. If Barro is correct, the introduction or expansion of a pay-as-you-go system should reduce saving only by people who do not have surviving children or who want to transfer less than the compulsory transfers under Social Security. While the debate is by no means resolved, most economists agree that both motives—life-cycle saving and bequests—matter. The empirical evidence, while mixed, continues to support the view that Social Security has had a significant depressing effect on private savings, although this effect does not appear to have been as large as originally believed. Economists B. Douglas Bernheim and Lawrence Levin, for example, found that Social Security depresses personal saving dollar for dollar for single individuals, but has no effect on saving by married couples. Pay-as-you-go financing not only reduces real income through its effect on private saving, but also redistributes wealth and income over time. Those who retired in the early years of Social Security got huge wealth transfers because they paid taxes for only part of their work lives and because, as the system was being expanded and taxes were being raised, they paid these higher taxes for only a few years. According to a study by the Congressional Research Service, a worker with average earnings who retired at age 65 in 1940 got back the retirement portion of his and his employer's taxes, plus interest, in a mere two or three months!!!! (our emphasis added). For workers who retired in 1960, the payback period was 1.1 years. For those retiring in 1980, the payback period had increased to 2.8 years. This bleak long-term picture is inevitable. Average rates of return on Social Security taxes must fall as the system matures and, in the long term, cannot exceed the rate of growth of wages in the economy. Michael Boskin, chairman of President Bush's Council of Economic Advisers, and his colleagues estimated that workers with median earnings and with nonworking spouses will get a real return on taxes of only 2.1 percent if they retire in 2010, and only 1.5 percent if they retire in 2025 or later. Returns are even lower for workers with working spouses. The expected net loss for the 2025 retiree is $48,000, in present value terms, as compared to a net gain to the 1980 retiree of $63,000. Social Security also transfers income within the same generation. For example, the weighed-benefit formula subsidizes workers with low earnings at the expense of those with higher earnings. The payback period for someone retiring in the year 2000 varies from ten years for the minimum-wage worker to twenty years for the relatively highly paid professional (1992 earnings of $55,500). Much of the wealth redistribution that Social Security causes has little rationale. For example, Social Security subsidizes people who work in covered employment for only brief periods, even if their earnings are quite high. Also, the 50 percent benefit increase for spouses subsidizes "traditional" families, those with one breadwinner and a nonworking spouse, at the expense of two-earner couples and single people. For people born in 1945, the expected rate of return for a two-earner couple with a combined salary of $50,000 is only 0.4 percent, or less than one-fourth of the 1.74 percent return for the single-earner couple with the same salary and same total taxes paid. Finally, the retirement earnings test and actuarial adjustments for early and delayed retirement subsidize people who retire at sixty-five (and possibly earlier) at the expense of those who retire later. Each of these transfers alters the return to work and thus distorts people's decisions about when, where, and how much to work. There is much evidence for the view that Social Security has contributed to the sharp decline in labor force participation rates and in the average age of retirement for older men. Michael Hurd and Michael Boskin, for example, concluded that the entire 8.2 percent decline in the participation rate of men age sixty to sixty-five that occurred between 1968 and 1973 was caused by the 20 percent increase in inflation-adjusted benefits enacted during that period. As a result of legislation in 1983 and generally healthy economic growth during the rest of the decade, Social Security is running a surplus of about $50 billion annually and accumulating assets rapidly. (not true in the 21st century...our notes added) Trust fund assets have quadrupled in the past five years and now top $325 billion ($450 billion including Medicare). 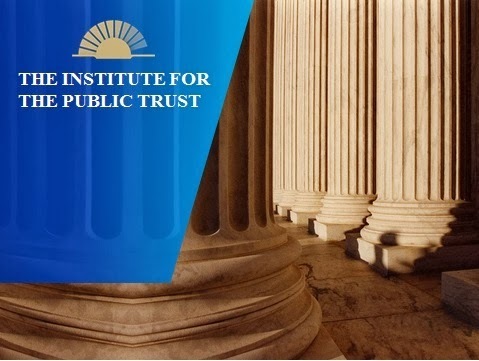 Social Security's total asset holdings are greater than those of the top fifteen private pension plans combined—including General Motors, AT&T, IBM, and Ford. According to the Social Security Board of Trustees, assets will peak in the 2020s at $5.5 trillion (roughly $2 trillion in today's dollars). Interest earned on trust fund assets is expected to defray a significant portion of the cost of future benefits. Some economists applaud the shift from pay-as-you-go toward partial advance funding as a fiscally responsible measure that will increase national saving and lighten the tax burden when the baby boomers retire. Other economists criticize it as fiscal chicanery—a hidden redistribution of taxes over time. 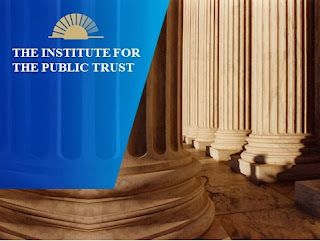 They argue that surplus payroll taxes are used to fund the general operations of the government today, in exchange for general fund financing of Social Security tomorrow, and that trust fund surpluses create no real saving and may result in substantial wealth losses for the economy as a whole. Who is right depends on whether the excess payroll taxes are being (and will be) saved and productively invested, or whether they are being used to finance current consumption by the government. Presently, any surplus monies are invested in new, special-issue government bonds. The trust funds are credited with a bond—an IOU from one part of the government to another—and the Treasury gets the cash, which it can spend like any other federal receipts. Saving occurs only if the government uses the surpluses to retire outstanding government debt (or to issue less debt to the public), causing the public to buy new private securities, thus increasing the funds available for investment. Advance funding, as currently conceived, is thus an indirect mechanism for adding to the nation's capital investment. But it can work only if Congress restrains itself from doing two things: (1) relaxing fiscal restraint in the rest of the budget—that is, increasing spending on other programs or reducing taxes—and (2) using the increase to increase Social Security benefits, bail out the financially ailing Medicare trust fund, or fund a new program like long-term health care. That's a big "if." The alternative, spending the surpluses as we go, would substantially increase the government's long-range indebtedness and undermine the economic well-being of future workers and retirees. The budget reforms adopted in 1990 were touted for having dealt with these concerns head-on. Previously, the Social Security surpluses were counted in determining whether the government met its deficit-reduction targets. Increases in the surpluses thus reduced the savings that had to be achieved in other programs. Social Security has now been removed from the Gramm-Rudman budget targets—and from the mechanisms that enforce those targets. Also, new procedures make it more difficult to bring legislation to a vote that would undermine the financial condition of Social Security. Economists grounded in public choice theory, and therefore skeptical of politicians, are not sanguine that these new rules can keep Congress from spending the Social Security reserves for the next forty years. The "enforcement mechanism" for Social Security is weak by design: expansions of Social Security will not trigger any automatic reductions in other spending. In addition, the procedural "fire wall" for Social Security applies only to some legislation. Moreover, enforcement mechanisms are subject to change, as evidenced by two major revisions of the Gramm-Rudman law since 1985. Four central changes in our economic and social life since the thirties have altered the costs and benefits of Social Security, yet have had almost no effect on the design of the program. These are the great expansion in employer-provided pensions and other sources of retirement income; the steady increase in life expectancy (since 1930, life expectancy at birth has increased from 58 to 71.6 years among males, and from 61.3 to 78.6 years among females); the steady improvement in the financial well-being of the elderly relative to other age groups; and changes in federal policy itself, which have resulted in an array of programs providing assistance to the elderly poor and medical-care coverage for virtually all of the nation's elderly. U.S. retirement income policy can continue to ignore these developments only at great cost. 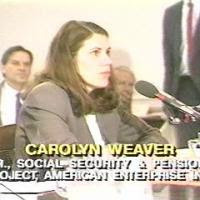 Carolyn L. Weaver is resident scholar and director of the Social Security and Pension Project at the American Enterprise Institute in Washington, D.C. She is also a member of the Social Security Advisory Board. Barro, Robert J. The Impact of Social Security on Private Saving: Evidence from the U.S. Time Series. 1978. Board of Trustees of the Federal Old-Age and Survivors Insurance, Disability Insurance, and Hospital Insurance Trust Funds. 1992 Annual Report. 1992. Boskin, Michael J. Too Many Promises: The Uncertain Future of Social Security. 1986. Boskin, Michael J., Laurence J. Kotlikoff, Douglas J. Puffert, and John B. Shoven. "Social Security: A Financial Appraisal across and within Generations." National Tax Journal 40 (March 1987), no. 1: 19-34. Feldstein, Martin. "Social Security, Induced Retirement, and Aggregate Capital Accumulation." Journal of Political Economy 82, no. 5 (1974): 905-27. Feldstein, Martin. "Social Security and Private Saving: Reply." Journal of Political Economy 90, no. 3 (1982): 630-41. Hurd, Michael D., and Michael J. Boskin. "The Effect of Social Security on Retirement in the Early 1970s." Quarterly Journal of Economics 99 (November 1984): 767-90. Kollman, Geoffrey. "Social Security: The Relationship of Taxes and Benefits." Congressional Research Service Report no. 92-956 EPW. December 16, 1992. Quinn, Joseph F., Richard V. Burkhauser, and Daniel A. Myers. Passing the Torch: The Influence of Economic Incentives on Work and Retirement. 1990. Weaver, Carolyn L. The Crisis in Social Security: Economic and Political Origins. 1982. Weaver, Carolyn L., ed. Social Security's Looming Surpluses: Prospects and Implications. 1991.